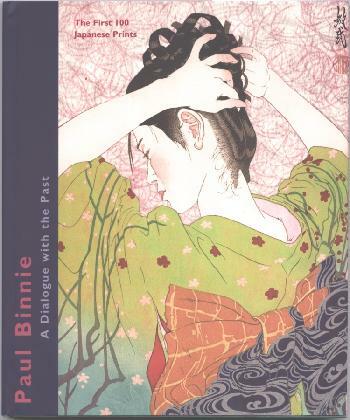 The book covers Paul Binnie's entire print work until 2007, 150 pages in full colour and hardback, including detailed photographs of the printing process, all the seals used on his prints and a complete biblography and selected exhibitions list. The main essay is by Dr Kendall Brown of the University of Southern California, with further essays by Paul Griffith and professor Akama Ryo of Ritsumeikan University. For most of his work after 2007 I would like to refer to my website.